If you have ever suffered from swollen, puffy, itchy, irritated eyelids, then you know how annoying and inconvenient the condition can be. Most often the cause of your pain and discomfort is due to a condition called eyelid contact dermatitis. Contact dermatitis of the eyelids is one of the most common skin conditions and affects millions of individuals each year. We often forget how many times we either rub or scratch our eyes throughout the day. Yet, keep in mind, any foreign substance or chemical that is on your hand can be transferred to the delicate eye area. To help you understand, properly treat and potentially avoid eyelid contact dermatitis, listed below are common symptoms, causes, and treatments. Dermatitis can occur on any part of the body, including your eyelids. The most common form of dermatitis is contact dermatitis. This occurs when a substance comes in contact with your skin and causes the skin to become irritated. Over 5 million individuals visit the doctor each year seeking how to treat contact dermatitis on their eyelids. The diagnosis of contact dermatitis occurs when an individual has a chronic rash that itches and is painful. There may also be small blisters that can swell, ooze, crust, and peel. Contact dermatitis comes in two forms, irritant and allergic. Allergic contact dermatitis happens when an individual’s skin comes in contact with a foreign substance that causes an allergic reaction. As a result, the body will release inflammatory chemicals that cause the skin to become itchy and irritated. Common substances that cause allergic contact dermatitis include jewelry, latex, perfumes, poison oak, poison ivy, and chemical ingredients in makeup or lotion. Irritant contact dermatitis happens when an individual’s skin comes in contact with toxic material. This is the most common form of contact dermatitis. Common substances that cause irritant contact dermatitis include bleach, drain cleaners, battery acid, kerosene, detergents, soap, and pepper spray. Determining the cause of contact dermatitis can be extremely difficult due to all the substances an individual may come into contact with on a regular day. Common household items that individuals use daily include shampoo, lotion, soap, cosmetics, and fragrances – all of which are susceptible to changes in ingredients that you may be unaware of. As a result, you may develop a reaction to something that has never bothered you before. If an individual develops contact dermatitis, it is important to pay close attention to the products and chemicals they use including those used at work, home, and in hobbies like gardening, photography, or painting. One way to help determine the cause of your contact dermatitis is the location of the rash or inflammation. Different parts of the body are more prone to developing contact dermatitis for different reasons. For example, if an individual develops contact dermatitis on the neck, the most common causes would be jewelry, perfumes, shampoo, conditioner, or other hair products. 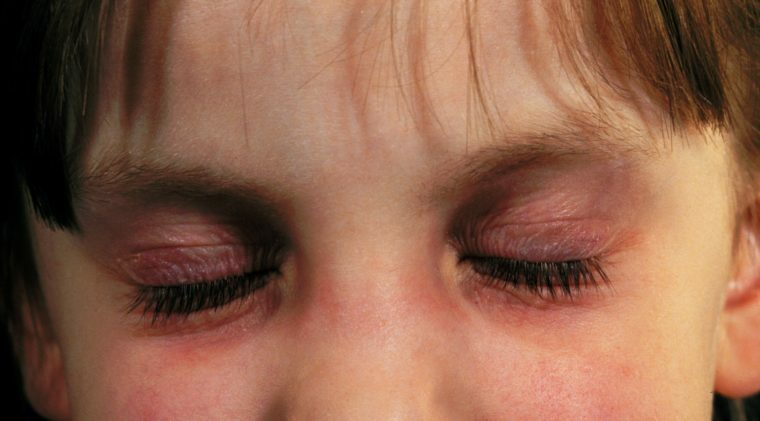 One of the most common locations for contact dermatitis is the eyelids. One of the most common areas where contact dermatitis occurs in on the eyelid. The eyelids are comprised of a thin layer of skin that serves as protection for the eyes. The eyelids contain eyelashes that protect the eyes from foreign items that could harm them. Also, your eyelids contain several glands that include sweat glands, tear glands, sebaceous glands, and meibomian glands. Due to the anatomy and function of the eyelids, they are prone to develop contact dermatitis. It is common for individuals to touch or rub their eyelids. So, in addition to the list above, beware of anything your hands come in contact with. This includes chemicals and debris that could be transferred to the eyelids causing them to break out with dermatitis of the eyelids. Avoid rubbing or scratching your eyelids. Wear protective eyewear including glasses and goggles. Avoid lotions that contain perfumes and dyes. Limit the number of cosmetics used on or near your eyelids. Use soaps that are free of antibacterial properties and fragrances. Watch out for dietary triggers; it may be necessary to restrict certain items from your diet (such as dairy or gluten). 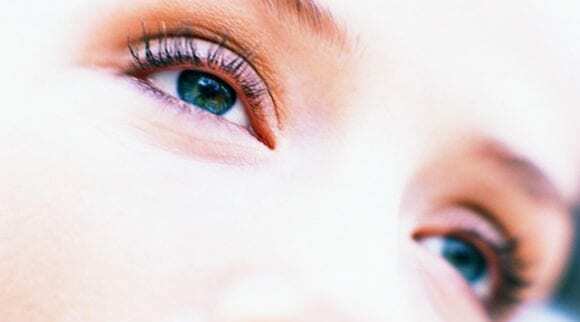 Use hypo-allergenic eye moisturizes to keep your eyelids from drying out. It may be difficult to determine the trigger of your eyelid contact dermatitis. Therefore, it may be necessary to limit or restrict more than one thing before you can determine the cause and eliminate it from your environment. Age– Infants and the elderly are more susceptible to developing eyelid contact dermatitis. Genetics– Skin conditions like eyelid contact dermatitis often run in families. Personal Hygiene– Individuals who practice poor personal hygiene are more susceptible to developing eyelid contact dermatitis because they are not keeping the skin on and around the eyes clean. 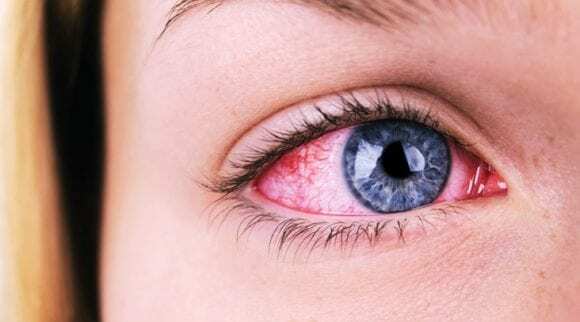 Medical Conditions– Individuals who suffer from certain medical conditions including hay fever may be at greater risk for developing eyelid contact dermatitis. 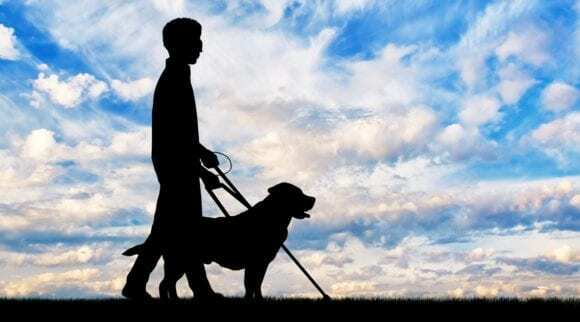 Medications– Some medications can trigger eyelid contact dermatitis so if you develop the condition be sure to check with your healthcare provider and make sure it is not due to any medications you are taking. 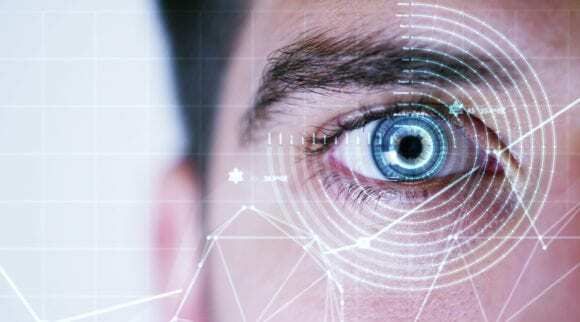 Where You Work– Some professions put you at greater risk for developing eyelid contact dermatitis due to certain chemicals or other substances in the environment. Industries to watch out for include construction and farming, as well as hairdressers and beauticians. What eye products do you use on a daily basis? Depending on how severe the symptoms of your eyelid contact dermatitis are, your physician may recommend using some over the counter products. He or she may also prescribe a steroid or other prescription medication to help clear up the condition. If the condition is persistent, your physician may refer you to an allergist for further testing. Skin Infection– If eyelid contact dermatitis is not properly treated and an individual continues to scratch and rub their eyes, a skin infection may develop. An infection can cause permanent damage. 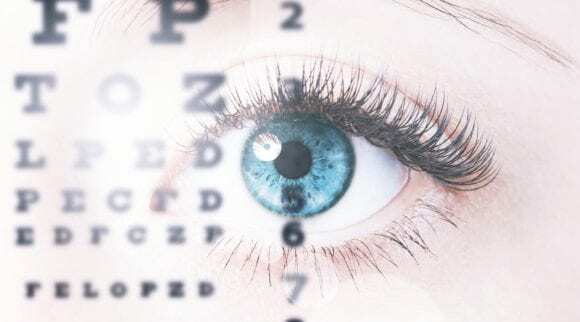 Eye Infections– If eyelid contact dermatitis is not properly treated, the bacteria can spread to the eyes causing them to become infected as well. Sleeplessness– Due to the symptoms of eyelid contact dermatitis, individuals may have a hard time sleeping. A lack of sleep can weaken your immune system and make the condition worse. Neurodermatitis– If eyelid contact dermatitis is not properly treated, the constant scratching of the eyelid can cause the skin to become leathery and discolored. Additional Skin Problems– Because the skin of the eyelids is more sensitive than other skin, you may develop eyelid contact dermatitis before skin inflammation occurs on other parts of the body. Therefore, it is important to not only treat the condition but be careful that no other skin areas become inflamed. If you are treating your eyelid contact dermatitis at home using over the counter medications and the condition becomes worse or does not clear up in a few days, it is important to seek medical help to avoid any of the complications listed above. Clean– Clean the area around the eyes with an eyelid cleanser, such as Heyedrate Lid and Lash Cleanser, to remove any possible irritants. Apply a Compress– To alleviate some of the pain and discomfort associated with eyelid contact dermatitis you can apply a cool, wet compress for 15 minutes several times a day. Avoid Scratching– While it may be tempting to scratch the eyelids to provide relief, this is a bad idea as you may further damage the delicate skin or cause an infection that could spread to the eye. 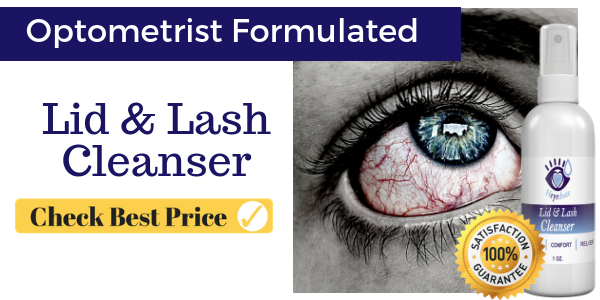 Moisturize– To relieve dryness and itching associated with eyelid contact dermatitis you can apply a moisturizer that is made specifically for the eye area. Moisturizers can be found over the counter, or your physician may prescribe a moisturizer for you to use. Calcineurin Inhibitors– Calcineurin Inhibitors are used to treat inflammatory disorders and can be applied as a cream or taken orally. Corticosteroids– Corticosteroids are creams that contain steroids. They can be applied directly to the eyelids to reduce dryness and inflammation. In addition to safely treating and cleansing the eyes and other parts of the body, Heyedrate donates a pair of sunglasses, glasses, and an eye exam to individuals who cannot afford quality eye care with every purchase. You can clean your eyes safely by simply closing the eyelids and using 1-2 sprays of the solution and gently rubbing the eyelid and lash margin. You can clean the eyelids twice a day for best results, and this solution will clean away any debris or makeup. The best part is there is no rinsing necessary, so you simply need to let it dry. This convenient formula can be easily carried with you so you can keep your eyes free from bacteria and inflammation wherever you are. When using this product, it is important to note that irritation may occur if the product gets into your eyes or on sensitive skin if it is inflamed. 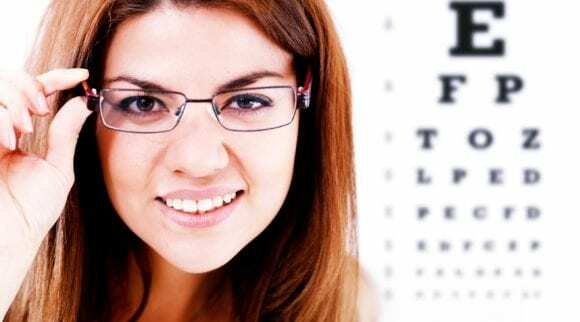 On the occasion that either contact with the eye happens or irritation occurs, rinse the area with water. Heyedrate Lid & Lash Cleanser is an excellent product that is easy to use and effectively cleans the eyes and eyelids. This product requires just a couple of sprays, and it effectively cleans and soothes the eyes. Plus, since there is no need to rinse it off, you can carry the product with you and use it anywhere. Although this product is for cleaning the eyelids, the formula is so gentle that it can be used anywhere on the body to effectively fight bacteria and inflammation. All in all, it’s a great product to have on hand at all times. Puriya Mother of All Creams is specifically formulated to treat and provide relief for dry, itchy, irritated skin. This cream provides instant relief from the pain and irritation of dry, cracked, flaky, and itchy skin. Puriya Mother of All Creams is proudly manufactured in the USA. 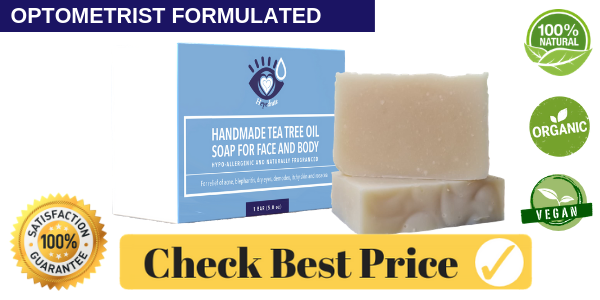 It is free from artificial fragrances and colors making it safe to use on hands, feet, scalp, or other parts of the body where the skin is inflamed and irritated. If you find you are not satisfied with this product, the company offers a 180-day money back guarantee. When using the product for the first time, apply to a small area to test for an allergic reaction. If you are currently using any other creams, either prescribed or over the counter, check with your health care provider to make sure there will be no adverse reactions. If you experience no reactions, you can apply the cream to the affected area as needed. This product is for external use only and should be kept out of the reach of children. To ensure that you do not experience an adverse reaction it is important to first test on a small area of healthy skin. If no reaction occurs, then test the product on a small area of the affected skin. If no reaction occurs, you can apply the product to the entire affected area. This product is not for use on children that are under the age of 5. It should not be applied to broken skin, near the eyes, mouth, or nose. Before using this product in conjunction with another cream (either prescription or over-the-counter), it is important to check with your health care provider to prevent any adverse reactions that may occur when products are mixed. 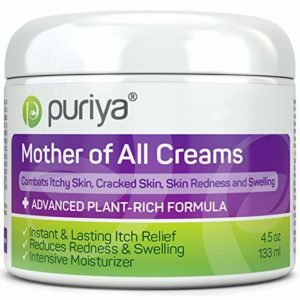 Puriya Mother of All Creams is a moisturizing cream with amaranth oil that is effective for treating various skin conditions including dermatitis, rashes, psoriasis, eczema, rosacea, and shingles. Puriya Mother of All Creams absorbs quickly and is not greasy so it will not clog the body’s pores. While this product is an effective treatment for contact dermatitis and other skin irritations and conditions, it is not recommended for use around the eyes. Thena Natural Wellness Healing Cream is non-greasy and fast absorbing. It is gentle enough to use on various parts of the body including around the eyes. Before using the product on the entire affected area, first use on a small patch of skin to ensure there are no adverse reactions. It is important not to apply the product to open wounds. Before using the product, carefully read all ingredients to ensure you are not allergic to or sensitive to any of the ingredients. First, apply a small amount of product to a small area on the inner arm for a minimum of 24-hours. If no reactions occurs, apply a small amount of product to a small area on the neck for a minimum of 24-hours. If no reactions occur, you can apply the product to the affected area of skin without worry. If any irritation develops during use of product discontinue using the product. Thena Natural Wellness Healing Cream with its plant-based formula containing anti-bacterial and anti-inflammatory nutrients is an effective way to treat many common skin inflammations and irritations. Thena Natural Wellness Healing Cream is free from colors and fragrances making it gentle enough to use on many parts of the body including around the eyes. This cream is non-greasy, absorbs fast, and brings soothing relief to irritated and inflamed skin. 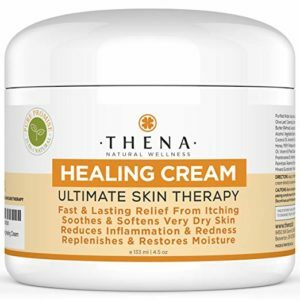 In addition to treating painful and irritated skin, Thena Natural Wellness Healing Cream is also effective for treating rough, dry skin including hands, feet, and elbows. Calmoseptine Ointment was originally formulated 80 years ago to treat diaper rash, but since it has been on the market it has become one of the leading products to treat a variety of skin conditions and is recommended by Pediatricians, Family Physicians, Hospitals, Clinics, Nursing Homes, Hospices, Palliative Care Facilities, Home Care Practitioners, and Veterinarians. Before use, gently clean affected skin with a mild cleanser. If accidentally ingested, it is important to contact a healthcare provider or poison control center immediately. If your condition becomes worse or does not improve after 7 days of use you should consult your healthcare provider. Calmoseptine Ointment is a multipurpose ointment that is an effective way to treat and relieve the pain, itching, and irritation related to many different skin conditions. This product is gentle enough to use on all parts of the skin including around the eyes. Recommended by the health care industry this ointment comes in a convenient tube that can be carried and used whenever and wherever it is needed. If you have skin, then you should have this product. 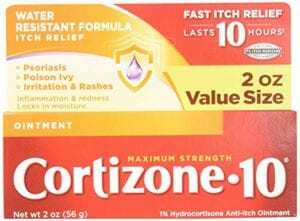 Maximum Strength Cortizone-10 is specially formulated to bring immediate relief to inflamed, itchy skin. Therefore, it reduces the chances of scarring or infections that can occur from scratching irritated skin. Maximum Strength Cortizone-10 is an excellent product that helps to relieve dry, itchy, and irritated skin. Plus, it also contains aloe to help deliver more soothing relief. This easy to apply odorless cream comes in a convenient flip-top tube that is easy to store. Maximum Strength Cortizone-10 can relieve many types of skin irritation and is safe enough for children over the age of 2. In other words, it should be part of anyone’s medicine cabinet.